These innovative wheel chair ramps folds down and carry like a suitcase. 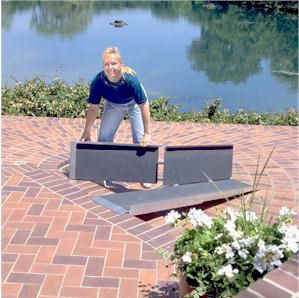 The unique folding design makes the multi-fold ramps easy to use, carry and store. 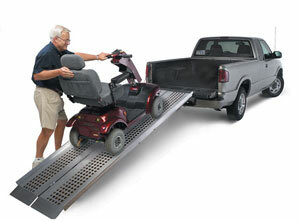 The ramps unfolds to a 28.5" or 30" wide loading platform, not narrow rails. They are very light weight, yet have up to a 700 lb. weight capacity. 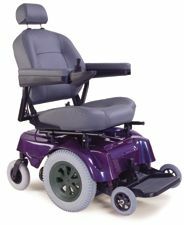 These ramps are a great cost saving alternative to an electric lift and are also versatile, and can be used in many different applications, as they are not permanently attached. 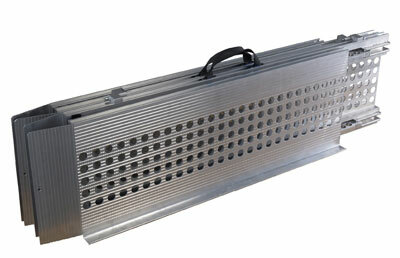 Shipping costs within the continental U.S. are included in most of our ramp prices. 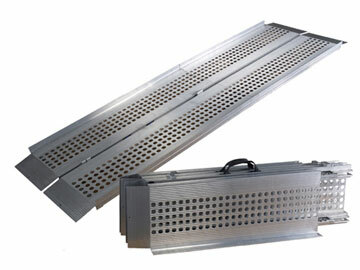 However, because of the size of some ramps, we are unable to ship them via U.P.S. and additional shipping charges will be added. In this case, you will see a "+ ship" next to the price of the ramp. We will contact you with the total price of the ramp you order, including shipping charges, before your order is processed.